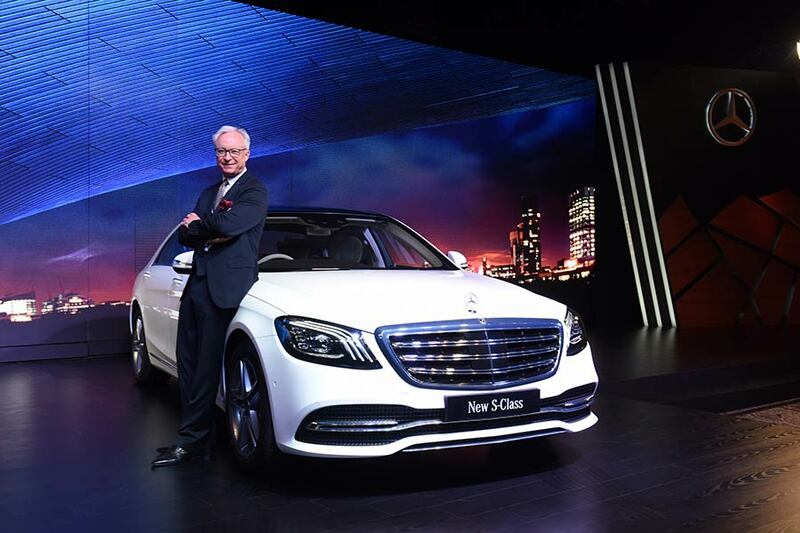 India’s largest luxury car brand Mercedes-Benz launched the enhanced version of its flagship product, Mercedes-Benz S-Class. 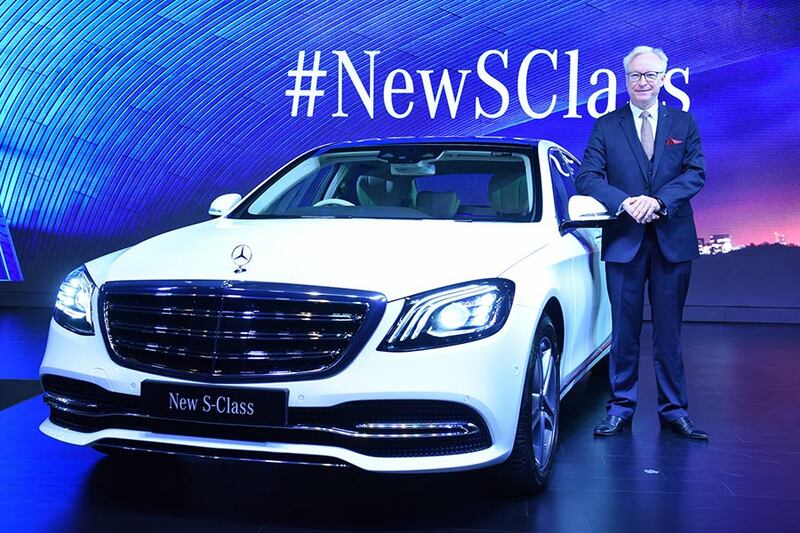 The new S-Class 350 d is India’s first ‘BS VI compliant– Made in India, for India’, vehicle with a state-of-the-art diesel engine that meets BS VI emission norms, two years ahead of the regulation. This world-class engine is capable of running on currently available BS IV fuel. Technological measures used in the new S 350 d leads to a reduction of emissions significantly, while introducing the most powerful diesel engine in Mercedes-Benz India’s history. 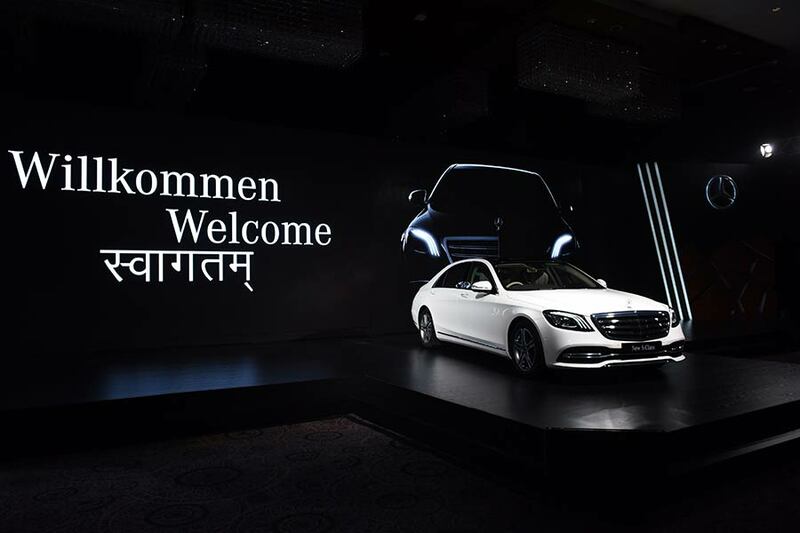 True to its legacy, the S-Class has emulated its global success in India and has had a phenomenal run in the country. To continue and build on this success, we have introduced the new version of our flagship saloon, which reaffirms its leadership status. This time round, it is not just intelligent, but also responsible luxury. By launching the first ever ‘Made in India, for India’ BS VI car, we have set a benchmark among all car manufacturers to support the Government in mitigating the rising pollution levels in the country. 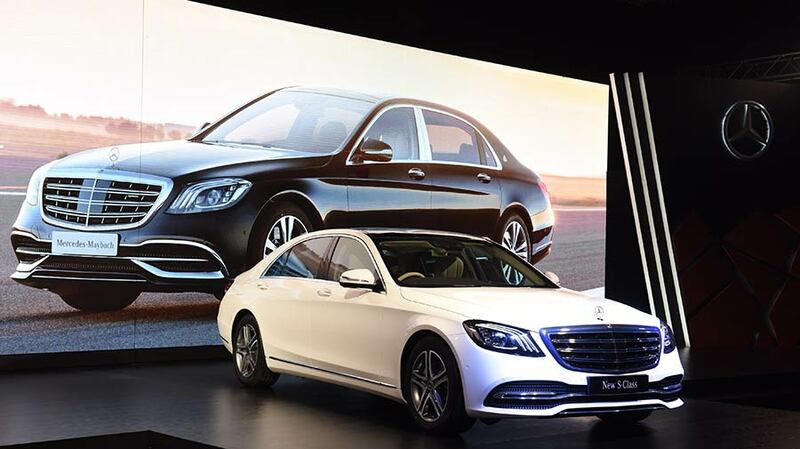 The new S-Class brings together luxury, design and technology that meet the highest standards of perfection, surpassing expectations for a vehicle of this class. The OM 656 engine used in the S 350 d is the most powerful passenger car diesel engine designed by Mercedes-Benz India; the inline-six cylinder motor delivers an output of 210 kW (286 hp). The new engine is also designed to comply with future emissions legislation (RDE – Real Driving Emissions). All the components of relevance for efficient emissions reduction are installed directly on the engine. Although the output has increased noticeably compared to the preceding model, the new engine consumes up to six percent less fuel. The special traits of the top-of-the-line engine in the diesel family include the new stepped-bowl combustion chamber design, two-stage turbocharging and, for the first time, the use of CAMTRONIC variable valve-lift control. Its design features a combination of aluminium engine block and steel pistons as well as further improved NANOSLIDE® coating of the cylinder walls. While the engine has been readied to meet BS-VI emission norms that are due to be implemented only in 2020, the technological breakthrough achieved by the OM 656 in India is its ability to run on existing BS-IV fuel. Adblue is technically termed as DEF (Diesel Exhaust Fluid) consisting of 32% urea mixed with deionized water. It is injected in SCR (Selective Catalytic Reduction) converter, for processing of gases and reducing harmful NOx emissions. The Adblue tank in the new S-Class has a capacity of 25 litres. Adblue needs replacement/top-up at the periodic service intervals, or when indicated in the instrument cluster. The vehicle’s AdBlue® tank will be topped up each time customer’s vehicle is serviced at an Approved Mercedes-Benz workshop. BS VI standards are far-reaching in scope and incorporate substantial changes to existing Bharat Stage IV emission standards. Of particular note is the tightening of Particulate Matter (PM) and NOx mass emission limits. In a BS VI vehicle the NOx limit reduction is up to 68 per cent and PM limit reduction is achieved at 82 per cent, compared with BS IV. Refinement, driving pleasure and responsibility – embodied by the V6 petrol engine with 270 kW (367 hp). Thanks to twin turbocharging and intercooling, the S 450 has huge reserves of power. The engine may give off its typical, unmistakably sonorous and cultivated sound, but fuel consumption stays unusually low. The new S-Class comes with an advanced Panoramic sliding sunroof with an obstruction sensor. In addition, two electric roller sunblind provide shade for the occupants in strong sunlight. It is fitted with a new multi-function steering wheel with ergonomic touch control buttons that allow intuitive control of most functions along with the integrated cruise control in the left-hand grip area. The car has electrically operated roller sunblind for the rear glass and side windows that enable the passengers to shield themselves from direct sunshine and prying eyes without disturbing the outside view. The vehicle interior can be fragranced to suit personal preference with the AIR BALANCE package. There is a choice of six high-quality interior fragrances according to personal preference. In addition, the air quality can be improved by ionization and optimized filtering of the incoming and recirculating air. The new S-Class is fitted with the Thermotronic automatic climate control in the rear which means temperature and air distribution can be individually set for the left and right sides using a control panel on the rear of the center console. The ambience lighting in 64 colours showcases the high-class interior like a work of art. Further, futuristic displays in HD resolution, select materials, generous sense of spaciousness showcases the unique atmosphere in the S-Class spectacularly, especially at night. A built-in smartphone integration system that allows integrating iPhones® via Apple CarPlay™ as well as Android smartphones with Android Auto into the vehicle, and operating them by voice control. There is also a provision for wireless mobile charging in the front and rear center arm rests. The new S-Class comes with Burmester® surround sound system with 13 speakers, a 9-channel DSP amplifier and a total output of 590 W.
It now comes with a new car key in exclusive white high gloss and matt chrome, which is unique for the S-Class and Maybach. The radiator trim with three twin louvres and vertical bars in high-gloss black highlight the new look and a new lower bumper with large air intakes and a sporty appeal. The multi-beam LED headlamps lend character to the front end with three striking light torches which are exclusive to the S-Class. New LED tail lights with crystal-look tail lamp make it stand apart when viewed from the rear. New 18-inch, 5-twin-spoke sporty look light-alloy wheels make their debut in the new S-Class. Over and above the multifold safety features that come as standard, the new S-Class comes with optional safety technology: a new radar-based driving assistance system which reduce the risk of accidents and enhance the protection of occupants as well as other road users, and of course, can take the strain off the driver within the respective system limits. Active Braking Assist: The emergency braking function can help to avoid or lessen the consequences of accidents with vehicles in front and pedestrians. Blind Spot Assist: It can warn the driver of vehicles in the blind spot during a lane change.